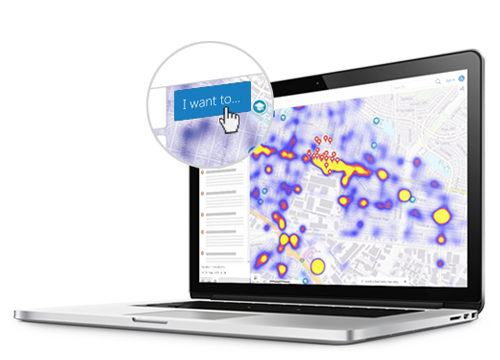 Build targeted, powerful web mapping applications and maximize the possibilities of Esri’s Web GIS technology. View the hardware and software requirements for Geocortex Essentials, and the ArcGIS versions that it is compatible with. Download Geocortex Essentials and the HTML5 viewer framework from the Geocortex Support Center. Install Geocortex Essentials and Geocortex Viewer for HTML5, and perform the basic post-installation configuration. Create a simple Geocortex Essentials site and launch an HTML5 viewer. Geocortex Essentials Manager makes it easy to create and manage sites and viewers. Build a map by adding layers from map services, feature services, image services, and more. Define service connections to bookmark your favorite services. Configure which map layers users can search and choose the search engine to use. Geocortex Essentials security allows you to control which users can access specific components like layers, database tables, workflows, and more. Automate GIS and business processes with Geocortex Workflow. Create templates to generate reports and printable maps, including large-format maps. Geocortex Viewer for HTML5 delivers a highly customizable interface for working with Geocortex Essentials sites on desktop browsers, tablets, and handheld devices. Make your Geocortex Essentials sites available offline using Geocortex Mobile App Framework for iOS, Android, and Windows devices. Use the Geocortex Language Tool to translate Geocortex Essentials Manager’s interface into the language(s) of your choice.